The Global Fund to Fight AIDS, Tuberculosis and Malaria (Global Fund) in Nigeria received a boost as Chevron Nigeria Limited (CNL) disbursed $2.5 million donated by Chevron Corporation, United States, weekend. Announcing the disbursement in Lagos, Mr. Esimaje Brikinn, General Manager, Policy, Government and Public Affairs, CNL, said the fund is for the implementation of the Chevron-Global Fund Anti-Retroviral Treatment Service Maintenance Programme (ART Programme) in Delta, Bayelsa, Ondo and Lagos States. These funds are in addition to US$6.7 million earlier donated by Chevron to the Prevention of Mother-To-Child Transmission of HIV (PMTCT) in Bayelsa State. 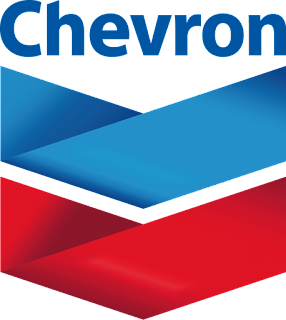 Brikinn, said a final installment of $2.5 million would be disbursed in 2018, to support these HIV programmes, amounting to a total contribution of US$5 million being donated by Chevron. He said the disbursements are part of a nine-year $60 million commitment from Chevron to the Global Fund. The Fund, one of the world’s largest international financiers of health care programmes to fight tuberculosis, AIDS and malaria, raises and invests nearly US$4 billion a year to support programmes run by local experts to fight the three diseases in countries and communities most in need. The ART programme, according to Brikinn, will help bridge a critical national health gap and continue Chevron’s work in achieving an AIDS-free generation. He added that the programme will also help reduce new HIV infections and improve the quality of life for the infected and affected people in the communities of the targeted states.